CCY introduced me to the International Saimoe League at the beginning of 2009, just as the preliminary rounds were drawing to a close. All the major contenders were in already, and the fight was on for the less popular characters to grab the few precious remaining spots in the regular season tournament. At the time, I didn’t fully understand what was going on; I hadn’t seen ef yet, and wouldn’t watch Aria or Index until much later this year. I had seen Clannad and Kanon over winter break, but for the most part those characters were in (except for CCY’s beloved Shiori, who barely made it into the tournament—and proceeded to get owned; tough luck, CCY.) I knew a few of the older characters like Chii and Osaka, but they’re not “moe” in the modern sense of the word, and their poor performance in ISML 2009 reflected that. I was watching Eden of the East and K-ON!, but the spring season series began airing too late and missed the deadline for participation in the 2009 ISML (though I’m sure they’ll clean up next year), so it was a little hard at first to decide who to vote for. But there were a couple of currently-airing series continuing from the fall that were elegible; for example, there was Clannad ~After Story~. But though all three girls had my support, Minorin stood out above the others. I admired her, not her cheerfulness but for what lay beneath it; I admired her determination, her strength, her discipline, her friendship, her selflessness. I admired her bravery to stay calm even when she was scared. I admired her ability to pick herself back up after she fell. I admired her ideas about ghosts and love. And I admired her ability to fight for something with every ounce of her soul when it mattered. Even now as I rewatch that scene it still brings me to tears. However, they aren’t tears of sadness or of happiness; they’re tears of… fulfillment? esteem? I’m not really sure. But like a Bushido warrior, Minorin is able to take action with a harmony of mind, body, and spirit that I admire but am totally unable to duplicate. 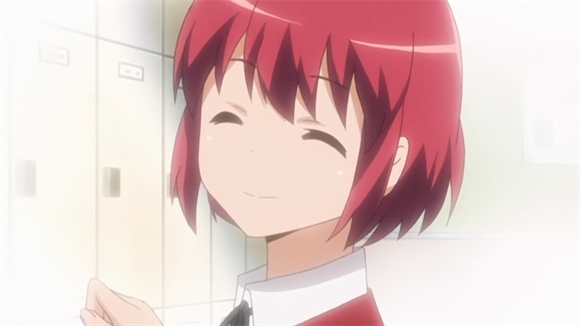 Over the nine or so months of the tournament, I voted for girls from Kanon, Clannad, and Toradora, but whenever I had to choose between them, from the preliminaries all the way through the final rounds, I chose Minorin first. 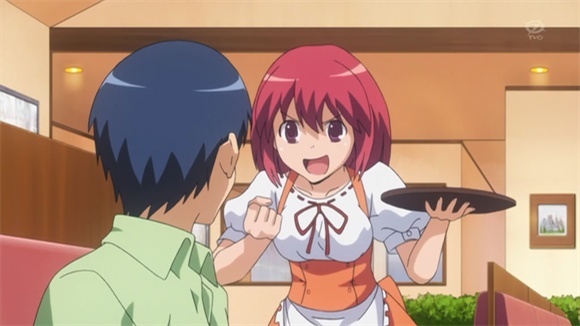 Unfortunately, it quickly became clear that while Taiga had a shot at the top spot, Ami was at best a second-tier character, and Minorin was merely average. 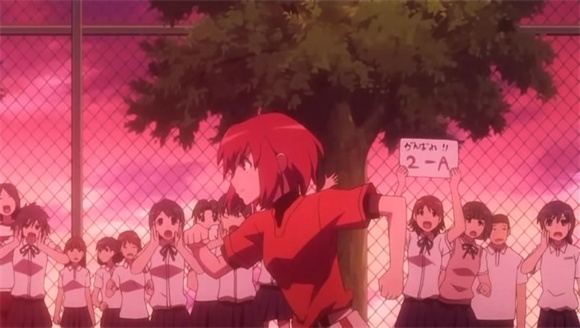 Instead of the Heavenly Tiara, Minorin had to set her sights lower—at a .500 record, and a free ticket into the ISML 2010. Throughout the round-robin competition, she won slightly fewer matches than she lost—only slightly fewer, but still fewer. By halfway through the eighth of nine rounds, CCY and I came to the realization that in order to win at least half her matches, Minorin needed to win 9 of the remaining 12 rounds, a significantly better record than she had posted at any prior point during the competition. Fortunately, she only had to face three top-tier opponents during that time (these were almost sure losses), but that meant that she had to win every other match, beating other close contenders Ryuugu Rena [Higurashi no Naku Koro ni], Kamio Misuzu [Air], Ryogi Shiki [Kara no Kyokai], and Kinomoto Sakura [Cardcaptor Sakura]. 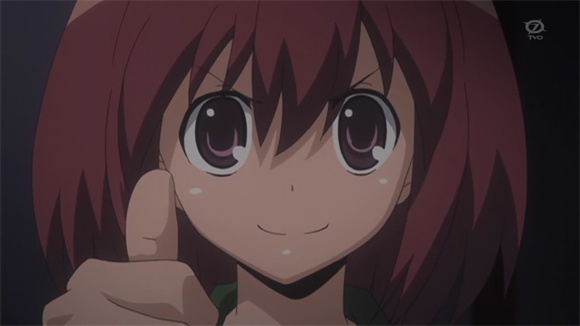 It was possible, but Minorin would need a flawless performance over those nine matches. It would take a miracle. 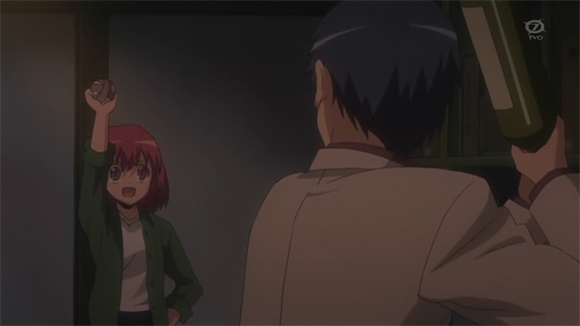 But we had to try; we had to fight for Minorin just like she fought for Taiga, with everything we had. CCY started writing posts for each round, and we went so far as to coerce some of our friends (who otherwise probably wouldn’t have cared about an anime girl popularity contest) to submit votes. As the days ticked by, I waited anxiously for the results of each new voting round, knowing that any unexpected loss spelled doom; but that dreaded loss never came, and after the final round’s results were released I saw that Minorin had won exactly 32 out of 63 matches. Somehow, the miracle happened. We made it happen—all of Minorin’s fans, and everyone else who voted for her or helped campaign for her. And somehow, I felt like we’d lived up to her example, and gave her a small moment of celebration, a moment she deserved, and my Moment #7. Damn, it’s too quiet around here. Must pimp more.